Sweet Autumn pumpkin topped with the perfect touch of cinnamon and clove. Sweet sugary maple adds the finishing touch to this fabulous fall fragrance. COMMENTS: I love the rich, luscious scent-and so do my customers! COMMENTS: An all-time favorite for fall soaps. Performs well but does discolor with the vanalin. Still, it makes for a great soap just when the pumpkin craze hits. COMMENTS: We use the fragrance in a seasonal soap and poopoo spray and we sell out every season. It has a lovely nutty pumpkin spice smell that’s not too sweat or overwhelming. COMMENTS: This is my favorite pumpkin fragrance. Works perfectly in CP soap, no ricing or seizing up & holds scent really well. It does turn a dark brown color but I expect that with these type fraagrances. COMMENTS: Perfect Pumpkin is appropriately named. If you are looking for a fragrance that actually smells like pumpkins (think more pumpkin, less pumpkin pie), than this is the fragrance you want. LOVE this and so do my customers. COMMENTS: This smells exactly as described! Smells just like pumpkin pie and does not have any chemical after notes. Definitely be buying again. COMMENTS: This is a fantastic FO that sticks well in CP soap! No acceleration or ricing - strong scent retention! We LOVE it! COMMENTS: The perfect pumpkin scent! Not overwhelming or too sweet! Performs amazing in cold process soap!! COMMENTS: I used this scent in soy coconut blend wax and both the hot and cold throw was wonderful. I haven’t soaped with it yet but I’m looking forward to it. This is a very nice pumpkin spice scent. COMMENTS: Absolutely what pumpkin and fall should smell like! Its AMAZING!! Will be on my make list every year and has sold out before it was even cut!! COMMENTS: This was great to soap with,Smelled wonderful, no A or R.
COMMENTS: This is a perfect pumpkin blender for all things pumpkin! COMMENTS: This is my new fall favorite. Just made cold process soap. No noticeable acceleration, but it is a fragrance oil. Love the smell for a pumpkin smell. Has a hint of spice in it. COMMENTS: Was looking for a true pumpkin fragrance and tried this. It’s a great rich fragrance that’s true to a nice ripe pumpkin. My customers love it! COMMENTS: Great cold and hot throw in IGI 6006 paraffin/soy candle. I bought 4 oz and HAD to buy 16 oz bottle!! One little test candle fragranced my entire house!! If you want a high dollar smelling candle, buy this oil!! COMMENTS: I love Fall scents and especially pumpkin. It was difficult for me to choose from the different pumpkin fragrances and all of the Fall scents, but this was a perfect choice. It is very pumpkin-y and smells great in my candles and tarts. I also put it in some bath bomb "frosting" soap topping, and although it was not too pumpkin smelling in them, it still smelled good. COMMENTS: All I can Say is that I'm in Love!!! "not my favorite pumpkin fragrance"
COMMENTS: In my opinion there is an artificial smell with this oil. Not my favorite. I ended up mixing it with ginger and cinamon EO to make it smell more like pumpkin pie. COMMENTS: This is my favorite pumpkin scent. Cinnamon-y, but not too spicy. Smells great OOB, but even better, a little less sweet in finished CP soap. No acceleration. My soap has been curing 3+ weeks now and scent is holding nicely. Can't wait to use it in a sugar scrub as well. COMMENTS: This is my all time favorite Pumpkin Scent!! COMMENTS: Really smells wonderful in lotion bars and behaved surprisingly well in CP soap. Smells pumpkiny and spicy and warm. A huge seller. Will order again and again! "The name sats it all"
COMMENTS: Well, they named this one perfectly. This really is the most perfect pumpkin scent I have ever smelled. I figure I might as well order a big bottle now! COMMENTS: I have had several people who typically don't care for pumpkin scented items, but adored this one! It's out of stock at the moment but I will return for more! COMMENTS: I wasn't sure what to think about this scent straight out of the bottle, after putting it in wax though I knew it was a winner! COMMENTS: Nice strong smell, long lasting. Pumpking spice bath bombs have received wonderful feedback. Definitely one of my favorites from WSP. "Customers love the smell "
COMMENTS: Loved the scent, & it lasted. COMMENTS: I love this fragrance and will be ordering this again. It is a major hit for the cold process soaps. The scent is a lot of spice with a little pumpkin and is perfect! I had no issues at all in my recipe - it behaved wonderfully and no discoloration was noted. COMMENTS: I like this it had a little more of a cinnamon scent than I was hoping for so I mixed with a vanilla to tame it down some. I made HP soap & Bath bombs they smell very Seasonal with the vanilla my cupcakes smell yummy. "Pumpkin Lovers Will Be Happy"
COMMENTS: I think this is such a great pumpkin scent. Not too heavy on the spices but definitely has a kick. One thing I've noticed though is my bath bombs end up dry and powdery the few times I've used this fragrance. COMMENTS: I'm reordering this one. My customers loved it. It discolored a beautiful brown....."exactly the color of a pumpkin pie!" as one customer happily described it. It sold fast. A nice one! COMMENTS: This fragrance is wonderfully delicious! It behaves well in cold process soap, sticks, and doesn't go so brown that you can't get swirls of light and dark brown. A keeper for sure! COMMENTS: I did not feel any smell of pumpkin. This is pure spice. But customers like it, despite this. COMMENTS: Love this scent! I made some MP soaps I gave away for Christmas using this scent, and everyone loved it! COMMENTS: This is a very pumpkiny pumpkin. It is a strong spicy smell. It is a great fall fragrance. Preformed well at room temperature with no ricing or acceleration. This does discolor to a dark brown. COMMENTS: This is really wonderful and inviting scent! It does take maximum amount for scent to last through CP and even in MP! But I do love the overall yummy pumpkin pie scent! perfect for fall and winter products! • Yummy pumpkin pie scent! COMMENTS: Awesome for soap, although more of a fall scent people are wanting it, so I keep making it. Great pumpkin spice scent. "smells just like pumpkin pie "
COMMENTS: personally I really liked the smell of this scent, but it was not a great seller in my market. I would say I got a 50/50 response on liking this product with some commenting that it was too 'spicy' or outright turning up their nose. I have found some people really just dont like food scents on the skin. I had a hard time selling skin products with this, but I think it would be great for tarts or candles. COMMENTS: I added a touch of clove and cinnamon to this and got a WOW scented soap! Perfect for fall holidays! COMMENTS: This one is just a perfect pumpkin pie - not too spicy, not too butterscotch, just as if you had a straight piece of pie with no whipped cream. Great blender! COMMENTS: This scent is amazing! I love the smell of anything pumpkin and this is definitely my favorite. It is very strong, so a little goes a long way. COMMENTS: This is a great scent for the fall. 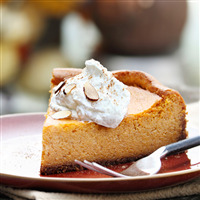 Classic pumpkin pie with a sweetness to it. COMMENTS: This scent is just OK. I do not like pumpkin smell but I wanted something for the season and this sent will do. It is very strong so you don't have to use much. "This is named well, it is Perfect Pumpkin"
COMMENTS: Finally found the best pumpkin fragrance. Stayed true during the curing process. Is lovely is bath salts and sugar scrubs. Very pleased and highly recommend. COMMENTS: It is just as the title of this states. It the perfect pumpkin smell. It takes me bake to baking pies. performs nicely in everything I have used it in!! COMMENTS: This fragrance is beautiful and takes me right through the Christmas and Thanksgiving holidays. The scent is evergreen trees with colorful ornaments, wreaths and red ribbon, spices and pumpkin pie, and family gatherings all mixed together in one little bottle. I purchased Perfect Pumpkin awhile back, and the scent is still going strong. It played very well in a golden sugar scrub I made for Christmas gifts one year, and I think I'll do another batch this year! If you like the smell of Christmas, you'll love Perfect Pumpkin. COMMENTS: The Perfect Pumpkin FO smells wonderful out of the bottle and keeps it after the has cured. Unfortunately I didn't pay attention to the vanilla content and didn't realize it would make it so much darker. It wasn't too awful bad when it first came out of the mold but darkened quite a bit during cure. I will still buy it again because it smells heavenly but will make adjustments with the colors to compensate for the vanilla. "Migraine and Morphed Soap Color"
COMMENTS: Nice smell but it gave me a migraine within 10 min and terrible nausea. I used an orange mica color hoping it would give me a muted brownish orange in the end but it turned out an odd purple. I was hoping to use in soap and beeswax votives but ended up selling to a fellow soaper instead. COMMENTS: This is a customer favorite. Spicy pumpkin scent. Yum! COMMENTS: I LOVE the scent of this fragrance! Not overpowering and well behaved in cold process. Does discolor, but not terribly. COMMENTS: I didn't like the fragrance. Didn't have enough cinnamon for my taste and too much clove. Smelled more like a cooking spice scent. Worked fine in salt scrub, though and the scent lasted. COMMENTS: The title of this fragrance oil couldn't be more fitting. When I opened the bottle it smelled like the perfect Thanksgiving pumpkin pie and its hard to not taste it lol it smells that good! I haven't had a chance to use it in a batch yet but as soon as I get my next WSP order in it's the first one I'm going to try! • I don't have it by the bucket load! COMMENTS: Quickly becoming a favorite of for my customers. I made pumpkin cupcakes and sold out the first day! Very nice scent! "Nice, but Not What I Was Looking For..."
COMMENTS: I was looking for a fragrance with a very outstanding pumpkin smell. This one seems to have more of a toasted pecan scent that hovers over the pumpkin with light spice. It is nice, and some customers did really enjoy, but I tested Pumpkin Crunch II, and it was exactly what I was wanted- and a best-seller! COMMENTS: This scent is amazing....I'm sure it will sell year-round! COMMENTS: It's a fantastic pumpkin spice scent. I did a festival on Saturday and all of my pumpkin soap and bath Fizzies sold out completely! I saved my last pumpkin soap and took multiple orders from it. People really enjoyed this scent. COMMENTS: Great scent that holds up through processing. COMMENTS: Smells amazing! I use this in my pumpkin spice bath bombs. "Smells exactly like pumpkin "
COMMENTS: This fragrance smells like you opened a can of pumpkin. I didn't smell much of the spices listed, but it certainly smells like pumpkin. A nice change from all the spices usually found in pumpkin fragrances. "Amazing that is for sure!" COMMENTS: My business partner and I have used this perfect pumpkin for years. we have tried others but nothing compares to perfect pumpkin. 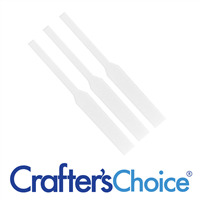 All of our customers love it! The fragrance hold perfectly in CP. And is just "Perfect" in everything we have used it for! I highly recommend this to anyone looking for a great fall fragrance. Yummy! COMMENTS: I love this scent. Rich and lots of cinnamon. Just like a pie. My only problem is brown soap. Not a fan of brown and I find brown soap hard to sell. Vanilla stabilizer doesn't work on CP soap. Design and second color doesn't help, you still have brown. So I only make one batch for the holiday. "Too much maple for my nose"
COMMENTS: Maybe my nose is super sensitive to fake maple. I'm not a fan of imitation maple syrup for pancakes. My senses seemed to make little distinction between the syrup smell and this oil. I tossed it. TO be fair, the description does say maple. I had a different FO that I loved and used up. Now I'm buying them one by one to find it again. • Too much maple for me. COMMENTS: Great seller, amazing scent throw. COMMENTS: I love this pumpkin scent. It is exactly what I was looking for. I am using this in fall line of body butters and soaps. My customers can't wait for me to debit this scent. COMMENTS: There is something about this pumpkin scent. The scent is so rich and bodied. I love it. This is my favorite out of all the pumpkin scents I've sampled. Let's hope this is a hit this year!! COMMENTS: This is a popular fall scent for me. Most customers don't care for it as a lotion, but like it a lot for soap. It smells delicious! COMMENTS: This is a warm and inviting fall fragrance. Had excellent hot and cold throw in my candles and smells like something good is cooking! Wonderful fragrance! COMMENTS: A favorite fall scent with my customers. Love the smell and how it works up. No problems. COMMENTS: As soon as I removed the seal on this bottle I was satisfied! Smells just like spices and pumpkin pie in the fall. COMMENTS: I tried various amount in my air fresheners and the scent was always harsh and too strong. Not sure what I could have done to make it work. COMMENTS: A delightful autumn scent - I use it in scrubs and liquid soap. COMMENTS: Perfect fall pumpkin. You won't be disappointed it's super nice, not too much. COMMENTS: Smells Like Mama's PIE!! Added her Secret ingredient in a Fragrance! EXCELLENT! COMMENTS: This is a nice scent without all the foo-foo. I wanted something a little different from all the spiced pumpkin and pumpkin lattes that seem to overwhelm fall and this was perfect. It is rather light, so you might want to go a bit heavier on the fragrance than you normally do, but it is very pleasing and holds its own in my line-up. COMMENTS: I use this in whipped soap, and it's nice, but it could use a little more spice scent. COMMENTS: Such a yummy cinnamon, clove, and maple combination. Smells like a fresh spice cake. I just make cupcakes with this fragrance and i'm excited out it turns out. no acceleration or anything funky, it just worked great. I will be buying this again in the future. COMMENTS: smells like pumpkin and i love it! COMMENTS: This scent smells exactly like a pumkin pie baking in the oven on a cold dreary day. It's a true pumkin smell....not sweet and sickening like others I've tried. Reminded me of my childhood....coming home after school to the smell of pumkin pie . Very soothing and comforting. You won't be disappointed. I will order this again. "The name says it all "Perfect" Pumpkin Fragrance "
COMMENTS: This smells just like fresh pumpkin pie. The aroma is heavenly. I used this to scent my holiday gift basket products of matching scents in my soap, body spray and lotion baskets. Big hit!!! COMMENTS: This scent is a really nice, spicy scent, warm with a bite OTB and in the Soap it stayed nice and strong. It discolored to dark brown which I expected and added some TD to lighten it up a bit. I did not notice any pumpkin scent until I washed my hands with the soap, which left a light pumpkin scent on my hands. Great! I will use again! COMMENTS: A very nice fall scent. "By far the best smelling pumkin pie." COMMENTS: Smells just like the real thing. I will be buying more! Fast service and friendly! Thanks WSP Team! COMMENTS: Everyone loves pumpkin and this smells so wonderful. Soap has slightly discolored although has held the scent very well. COMMENTS: I totally love this fragrance. One of my very favorites. Thanks for offering it to us. "Perfect Pumpkin Fragrance Oil 452"
COMMENTS: I was unsure about this one when I bought it to add to my Fall fragrance list. But it sold pretty good! COMMENTS: Order this scent and fell in love with it immediately. Loved it so much and then WSP ran a special that I had to order it again. This smells wonderful for our bath bombs and a little goes a long way. This is a must have for your fall and winter line of products. COMMENTS: I am not a fan of pumpkin. BUT this scent make me reconsider. It behaved well and I had plenty of time to do my intended design. After I unmolded my first batch of soap using this scent, I couldn't stop sniff-testing it. It smelled sooooo delicious. COMMENTS: This scent smells just like pumpkin pie. It smells more of spice than pumpkin, but so does real pumpkin pie. I mixed this with a little bit of "oatmeal and honey" to make a crust smell and it was wonderful. Mixed it with annatto seed powder and I truly felt like I was making a pumpkin pie, both look and smell. Very much a fall scent, don't think it would work well any other time of year! I would buy again next fall! COMMENTS: This is the third pumpkin fragrance I've purchased. I was looking for the right one, and this is it!! It smells amazing. "Can't walk by without smelling!" COMMENTS: This smells so fantastic. I sold at a flea market today. I was scared being out in the wind people wouldn't be able to smell the wonderful fragrance, but instead I had people tell me that is what brought them over to my table. I sold out of the pumpkin! "Perfect Pumpkin Fragrance Oil 452 Review"
COMMENTS: It does not smell like pumpkin. It smell like cinnamon cookies. WSP Response: I'm sorry this didn't have the pumpkin smell you were hoping for. Cinnamon is a dominant fragrance and since this is one of the ingredients, it may overpower the other ingredients. "Made Scrubs Good Enough to Eat!" COMMENTS: I carefully read all the reviews on pumpkin scents before choosing one, and this one definitely did not disappoint. It smelled of pumpkin, the spices, and a note of sweetness, almost like maple. 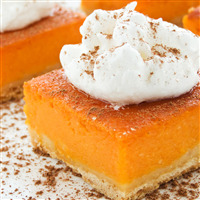 But when added to my scrub base, it really popped of spicy pumpkin pie. With the added coffee beans and pumpkin flakes, the scent turned my scrub into a pumpkin spice latte which smelled straight out of Starbucks Coffee shop! Will definitely buy again. COMMENTS: I love this FO...its not really pumpkiny enough (for me) but for what it is...it's fine. I used it in MP and it worked well...making soy candles and tarts...can't wait to see how those turn out. "A little heavy on the maple and spices but good!" COMMENTS: This smells really good. I first used it in mp soap, but the maple gave it too much of a bakery scent to really "go" with soap in my opinion. I used the rest in soy wax melts, and the scent was even better after it cured! It gave a nice throw and the spices and maple mellowed out to give it a nice balance. COMMENTS: I bought this to make the Perfect Pumpkin scrub. I absolutely love the scrub, and made several containers for my fall/ Christmas craft shows. My daughter loved it so much that she has ordered more for her friends! It's great in the shower, and I smell like pumpkin all day long! I thought the pumpkin was a little too intense, but everyone else likes it. COMMENTS: Though not my preference, this will definitely appeal to the pumpkin lovers out there. COMMENTS: This is a great pumpkin scent! Plenty strong and smells delicious! "Nom, nom, nom! Smells like you could eat it!" COMMENTS: Perfect Pumpkin smells just like pumpkin pie!! I used Pumpkin Crunch Original last year, this is more true to pumpkin, just lovely, especially in oatmeal soap, PERFECT! "I don't like FO at all!! However this I LOVE !" COMMENTS: I have always used Essential Oils, but this was a trial, and it came through beautifully I am back to order more. The scent it not overly sweet smelling like I would guess, but it is a beautifully blended scent that doesn't have the slightest chemical smell that so many Fragrance Oil's have....this scent makes me want PUMPKIN PIE!! Tried it first in a facial / body scrub and haven't gotten any further!! L.O.V.E It!! COMMENTS: When I first gave it a sniff, I thought hmmmmm, not quite what I expected. After blending with cinnamon, ginger and our base sugar scrub recipe, it did, in fact, smell just like a yummy, spicy pumpkin pie. Our test group loved it! COMMENTS: Absolutely perfect. It is a wonderful pumpkin fragrance in cold process soap. It turns a dark brown, which is totally fine. I will definitely buy this again! COMMENTS: This smells like a spiced pumpkin pie. Used in CP soap with no issues. COMMENTS: Love the smell! Turned a nice chocolate brown after a week. Accelerated quite a bit though. Next time I'll be ready for that, but I will definitely buy again. COMMENTS: I love this pumpkin scent! I made a pumpkin soap and everyone that smelled it said it smelled good enough to eat. Very seasonal! COMMENTS: This smells just like pumpkin pie out of the bottle. I love it! It doesn't smell like pumpkin though but it smells like pumpkin pie spice mix that you would use to bake with. I mixed it with coffee mocha to make pumpkin spice latte soaps for the holidays coming up! "Smells Amazing Goes good with honey soap "
COMMENTS: I Love this scent . I use it with melt and pour base soap. mostly Honey. Smells great perfect for fall. COMMENTS: Love the smell of this pumpkin fragrance. Works great in my cold process soap with no problems at all. COMMENTS: This smells like pumpkin pie in a bottle. I have not made anything with it yet but have great plans for this FO. I will be using this in my fall line to make soap, sugar scrubs, lotion and body butters. I'm sure this will be a good seller. Thanks again for continuing to make great products!!! COMMENTS: Perfect Pumpkin is a slightly spiced version pumpkin that isn't quite sweet like a pumpkin pie, but definitely brings memories of autumn to mind. It soaps well in CP soap and discolors to a medium brown due to the vanilla content. I used the discoloration to my advantage with a drop swirl with some titanium dioxide and mica, and customers love it! Scent retention is good after 6 weeks. COMMENTS: This fragrance sticks really well in hp soap. Our whole house smells amazing and customers LOVE it. It really is the perfect fall scent! COMMENTS: Love everything about this fragrance. My customers love it great fall fragrance. COMMENTS: I love everything other than I can't keep it in stock. This fragrance is incredible. My customers keep coming back for more. COMMENTS: This is hands down my favorite scent for fall used thus far! No, not to "pumpkin-y" but the spice...ahhh....so very nice...the scent HOLDS SPECTACULAR in cold process soap, sugar scrubs and lotions...behaves just fine in cold process soap! Turns a beautiful brown...not to orange-y brown! I will be using this every fall! COMMENTS: I absolutely LOOOOOVE this scent! I can't wait to add it to the fall collection of my items! "This is the best smelling fragrance EVER"
COMMENTS: I absolutely love this scent. I can't get enough of it. If it was a person, we would be sleeping together. COMMENTS: I can't wait till autumn so I can fill my home with this scent!!! I have tried a LOT of pumpkin fragrances and so far this is the only one that I would recommend. "Discolors, but totally worth it!" COMMENTS: I made Pumpkin Pie soap and planned for the discolor by living my "crust" and "whipped cream" unscented.. but the brown hit the orange part hard. Still looks lovely, but not as vibrant. The smell is on point though, it smelled like Thanksgiving morning with a pie baking! Great in candles too! 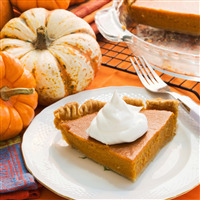 COMMENTS: This scent is remarkable, it smells just like pumpkin pie, I can't wait to make my soap pie with my CC circle mold and my CC bath whip, this will be a best seller. This scent is ....On Point! COMMENTS: My customers find my Perfect Pumpkin soap hard to put down! They love the smell. It sells year round for me and is a favorite in the Fall. It behaves very well in cp soap. COMMENTS: This is a good pumpkin pie or pumpkin pancake fragrance. There's a lot of maple to this one which is turning it into a baked good for me. I have a lot of customers who like this but those that don't are asking for a less spicey pumpkin. I'm pretty sure I'll be keeping this one around for the fall but I think I may give my customers two different pumpkin options since it's really 50/50 on their spice preference. "Truly a Perfect Pumpkin fragrance!!" COMMENTS: I've had a difficult time finding a true pumpkin fragrance that I actually like and that my customers like. Sometimes it feels like I've tried them all with no winners. I decided to try one more and so glad I did! It actually smells like real pumpkin! With a mild, not at all overwhelming spicy hint and just a bit of sweetness to round it out. Even better, it was a breeze to soap - even in goat milk cp soap. No acceleration, no ricing. To me, this is truly the Perfect Pumpkin scent. COMMENTS: Did accelerate trace and darkened the pumpkin soap I made. The scent is good and holds up well even after 3 months of curing. Will try soap using vanilla stabilizer to maintain the colors. COMMENTS: Wonderful scent for fall. True to its name. Customers love it. Use it blended with other oils in our fall line. COMMENTS: This is one of my son favorites. He now has his friends hooked on it. COMMENTS: Great pumpkin scent. Dead on for pumpkin. Will be buying more. "I liked it, customers were meh"
COMMENTS: I really liked this, as did members of my family, but customers seemed more interested in the seasonal shape of the soap than the fragrance. COMMENTS: Another great FO from WSP! Just love it. COMMENTS: Very yummy scent, makes your smell good enough to eat. COMMENTS: This has a true pumpkin pie scent. My customers really like it and that makes me happy. I am sure that I will be buying more of it soon. "You will want to eat this!" COMMENTS: A rich, deep buttery fragrance. you WILL want pie! COMMENTS: This smells so good I could eat it! I think this would be a perfect candle! I did make some goats milk melt and pour and not so sure how I like it as soap but that is my personal preference. Absolutely love this sent for a candle! COMMENTS: Wow. This truly does smell like pumpkin pie to me. 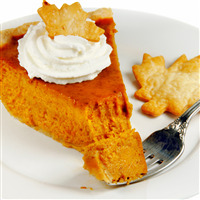 I especially get the hint of a golden crust too, which you don't always get in pumpkin pie fragrances. What a great fragrance for the Fall and Thanksgiving season. Just spicy enough with a little creaminess and the definite presence of a buttery crust. Great job in capturing a slice of pumpkin pie. 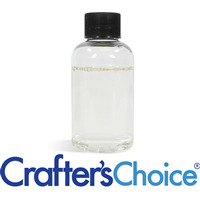 "Crafters Choice™ Perfect Pumpkin Fragrance Oil 452"
COMMENTS: This is the most fantastic pumpkin fragrance that I have ever used! I absolutely love it and so do the friends who were here when I made the Pumpkin Butter. It smells so delicious! I will definitely be purchasing this one again! COMMENTS: This is my favorite pumpkin scent so far. Pumpkin crunch original used to be my go to pumpkin scent- but this one has taken it's place. More pumpkin pie and less spice smell. Very good! COMMENTS: This is the best fragrance so far...I made Pumpkin Bark Soap and gave it as gifts to all my co-workers. They loved it, thought it was something to eat is smelled so good. 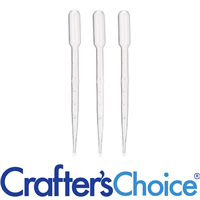 I've since made candles and the fragrance holds up well in soy wax as well. I also made the Perfect Pumpkin Salt Scrub and it turned out wonderfully! I have a big craft fair coming up soon and I'm sure all of the items with this fragrance will be a hit! • Price of the larger bottles! COMMENTS: When I first unmolded this, it smelled more like maple, but now that it's curing, it is really taking on a fantastic pumpkin spice smell. Very heavy on the spice, lighter on the pumpkin. It's not too dark, either. It cures to a tan because of the vanilla content, which is fine by me. Don't be discouraged when you first unmold it. Give it a few days and be wowed! COMMENTS: Love this scent! Smells so delicious I just want to drink it! COMMENTS: This is an awesome scent. Everyone loved it. It did well in cold process. "Yummy true pumpkin spice scent"
COMMENTS: One of the best pumpkin scents I've found. Customers who love pumpkin candles buy me out of this candle! Spicy, sweet... scented like fall. Husband pulls this one out at the first sign of fallen leaves. Great scent throw and not too heady. "This is a definite best seller"
COMMENTS: I sold out of everything in 24hrs. It does discolor to a very dark chocolate color but it is so worth it. No acceleration or issues when doing CPOP with it. My house smelled like a festive bakery. The shower smells so invigorating and the smell stays on your skin nicely. My husband said I smelled like pumpkin pie and he couldn't stop sniffing me. My customers are begging me to restock this one...and I will once its off backorder. Try it! COMMENTS: This is our best selling fragrance in all of our products from the end of sept through thanksgiving. COMMENTS: this is my all time favorite FO. I can't wait to make more bath products with it! I could swim in it, the scent is amazing. Reminds me of fall and the goodness that goes with the holidays starting.